Goldman Sachs CEO Lloyd Blankfein and his top executives will probably not be clipping coupons in 2008, despite surrundering millions in bonus money. Things are tough all over. So to show they're neither insensitive nor immune to the crisis choking the U.S. economy, seven Wall Street bigwigs are giving up their annual bonuses. Led by CEO Lloyd Blankfein, the leadership at Goldman Sachs is leaving hundreds of millions of dollars on the table, reports the New York Post. "Notwithstanding the fact that the firm has distinguished itself in many aspects of this crisis, we can't ignore the ongoing economic distress, nor can we ignore public scrutiny," Goldman spokesman Lucas van Praag said. Blankfein, along with two co-presidents, the CFO and three vice chairman, will make $600,000 this year. 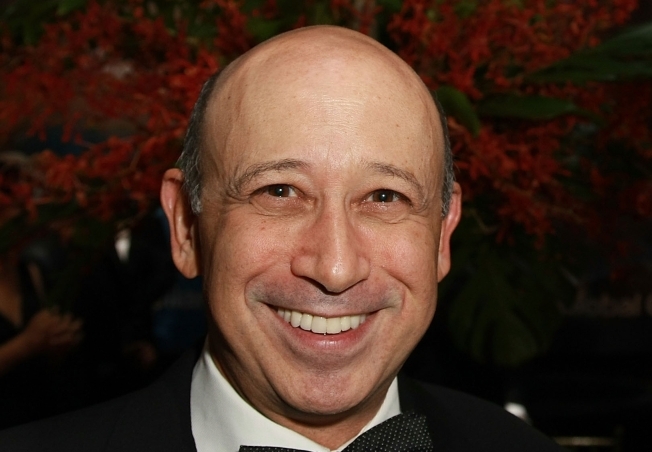 Last year Blankfein and his three highest paid lieutenants made an average of $65.25 million. State Attorney General Andrew Cuomo called the move a "step in the right direction." "This gesture by Goldman Sachs is appropriate and prudent and hopefully will help bring Wall Street to its senses. We strongly encourage other banks to follow Goldman Sachs' step," he said. Cuomo has been calling for a "detailed accounting" of executive pay of firms receiving federal bailout money.